Is it a good idea? If you have the money to afford a holiday house, then why not? But if you are looking more for something that will secure your financial future, then there are factors you need to be aware of. The rental for holiday houses is usually seasonal. Unfortunately that means the times you can get the best rent return is usually the same time you want to inhabit the property yourself. The converse is also true. Far fewer people choose to rent beach houses in winter, which can mean long periods of vacancy. Holiday rentals by their nature are short term. This means more tenants and, most likely, tenants who won’t treat the property as well as long-term tenants, who are using your property for their home. With lots of tenants, the chances are stronger that you will encounter a bad egg. Schoolies and bucks parties can be the stuff nightmares are made of, and you often won’t know about it until it’s too late. There simply aren’t as many checks on someone who is renting for a week or two. Because of this turnover, and the likely vacant periods, property managers are also likely to charge a higher fee. Another potential cost is that when you use your investment property for your own holiday, there are tax implications in terms of the deductibility of the expenses incurred by the property. If you are buying into a complex, the costs of strata management, especially for properties with resort style facilities such as pools, must also be taken into account. 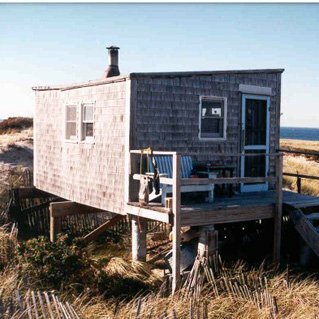 Many beach houses also tend to be old, which means less depreciation and higher maintenance costs. Coastal areas tend to be dependent on tourism and that makes prices more volatile and vulnerable to economic conditions. In terms of capital gains, this means there are likely to be drops in price, long periods of stagnation, and erratic growth. When buying a beach house for an investment, you have to be very conscious of when to buy, but even more importantly when to sell. This can be a problem because there’s no guarantee that the time you want to realise your capital gain by selling will coincide with a high point in the property cycle. On the balance of it, if you are thinking of buying an investment property, and especially if you are thinking of buying your first investment property, you should be looking at properties in areas with diversified employment, infrastructure, and which are targeted towards long-term tenants. All this doesn’t mean that beachside property is a bad investment. Indeed it can be a very good investment, particularly in the beachside suburbs of cities. This month’s featured property in Perth’s Golden Bay is an affordable example of how a beachside investment can help you secure your financial future.